I hate housework. I can spend hours in the kitchen cooking, baking, experimenting and losing track of time. But when it comes time to clean up, I notice every single second of it. Um, this may be true, but I can’t help but believe it’s just clever marketing to try to keep the housewife content! 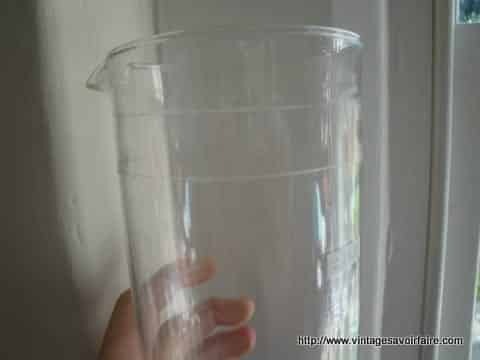 I like trying vintage techniques for cleaning since they often use fewer chemicals, and reuse basic products for many things (so you have to buy less stuff.) But I’m still a sucker for modern technology. Handwashing dishes is fine, but would I use a dishwasher if I had one? Oh yes. 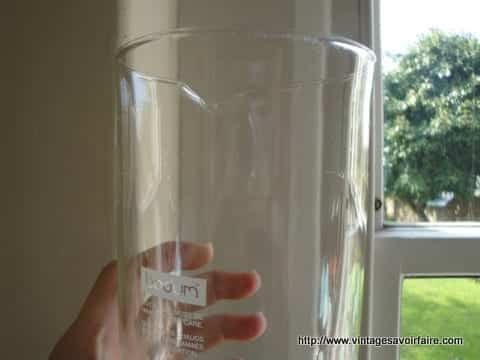 One vintage cleaning product I LOVE, is baking soda, and I’ve found another use for it – cleaning my glassware! E t voila! Streak-free french press for my tea making photos. I haven’t tested baking soda on any very delicate glassware. It’s a mild abrasive, but still scrubby, so you might want to test it first on a small area before going after your best glasses. 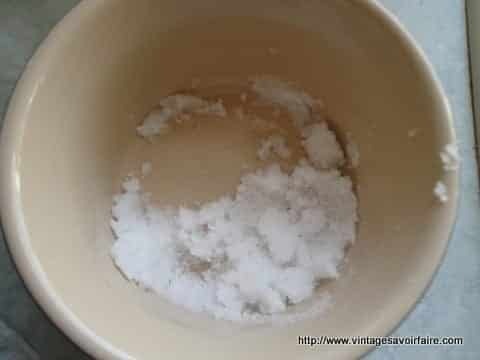 Do you have other clever uses for baking soda?? Let us know in the comments. I can not believe that you created this post in 2010 and don’t have a million likes and comments! ?? Baking Soda is my ‘go to’ for EVERYTHING! Girls Soccer game – Spring time – Bees! One of the young players was stung by a bee. I went to the car and got my box of baking soda (kept in a glass jar) and mixed a little in an empty cup with a shot of water (from the girl’s water bottle). She was scared to try this, and I held the water over her arm and told her that if I put the paste on the sting and it hurts, then I’ll rinse it off immediately. She allowed me to put a bit of paste on the sting and … it stopped hurting! Her mother (who is an emergency room nurse) was taken aback at how quickly and effectively this worked. 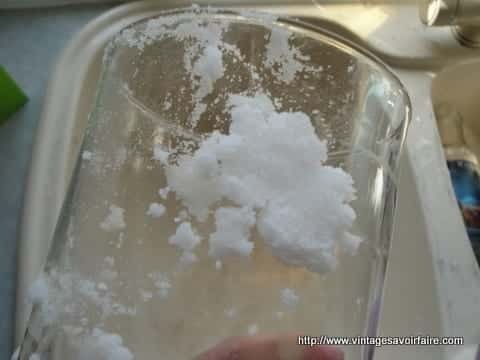 Another use: Antacid ~ When my tummy bubbles are getting the better of me and ‘tums’ aren’t working, I stir a teaspoon of soda into a small juice glass filled with warm water. Drink fast (nasty taste). Then, kind of move around a bit by bending at the waist, etc… but do not ‘agitate’. You’ll start getting gurgles and burps and your bubbles will be popping! You’ll be able to sleep now. Then, my favorite, is cleaning (as you show here in the post). I use it on fine china, glassware, and anything that has coffee/tea stains, which is also why it’s so good for your teeth! It is my ONE pure staple and it does EVERYTHING. You can toss so many items in your home by incorporating this one natural product! The chemical companies won’t like it, nor the media advertising and wall street people, but hey…. I promise! There are so many uses and it’s the most economical resource for may of life’s ‘what ails ya’…. oh and the best …. The cleaning of ‘baked on’ grease from pans, cookie sheets, and my cerammic stove top! I use it all the time….